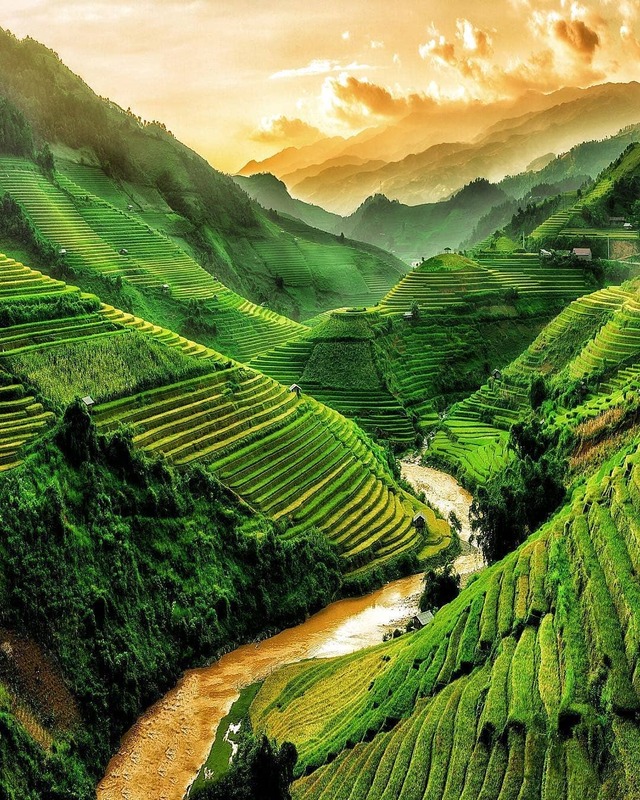 Vietnam is a small country but it has many different types of landscapes such as magnificent mountains, immense oceans, green dense forest and vast deltas. You can capture beautiful scenes and memories as you traverse the country. Moreover, Vietnam also has many cityscapes and architecture from ancient to modern styles with a unique culture that will become an unfailing source of inspiration for your photography. 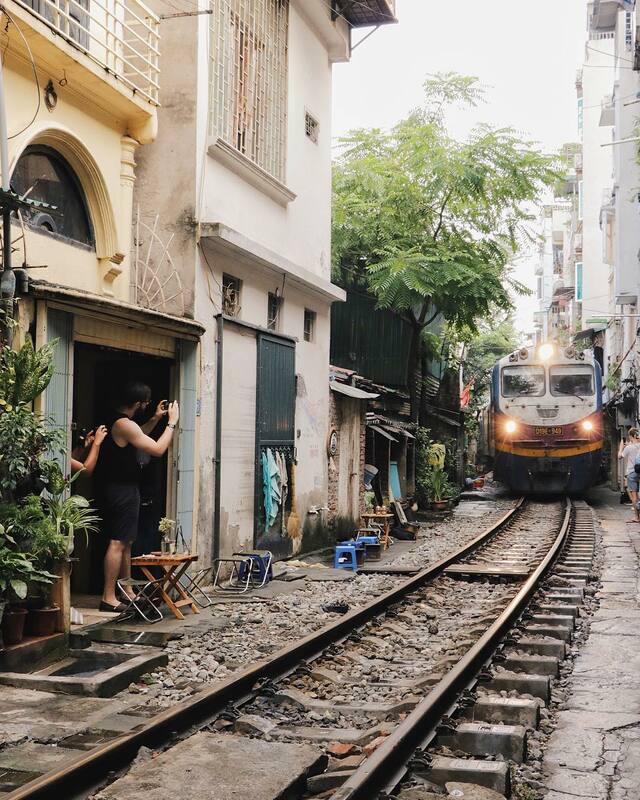 Let’s discover these Instagram-worthy spots from the North to the South of Vietnam. Sapa is not only famous for its unrivaled nature and mountains but also the culture and people of the mountainous ethnic minorities. And the tallest mountain of them all, Fansipan, also called the “Rooftop of Indochina”, is waiting for its portrait. This mountain covered with dense white clouds makes for an incredible photo which you can hardly catch in any other part of the world. Clouds are densest in the early morning or late afternoon, so choose wisely. 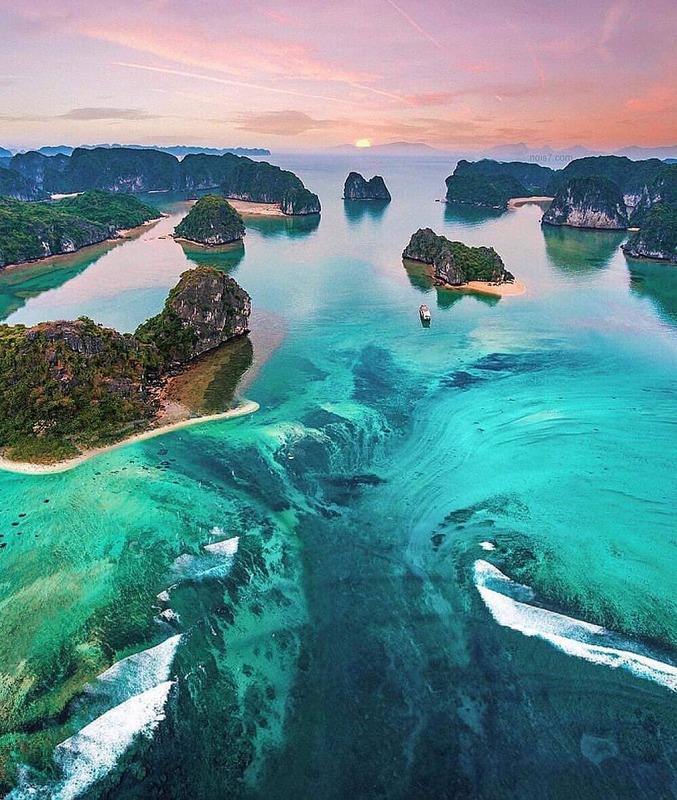 Ha Long Bay is one of the most famous travel destinations in Vietnam. You can take many photos of the bays off the coast, long white beaches, majestic caves, and water sports on the ocean. Spend your days on a luxury cruise around Ha Long Bay before you stop at fishing villages to learn about local life and fishing activities. 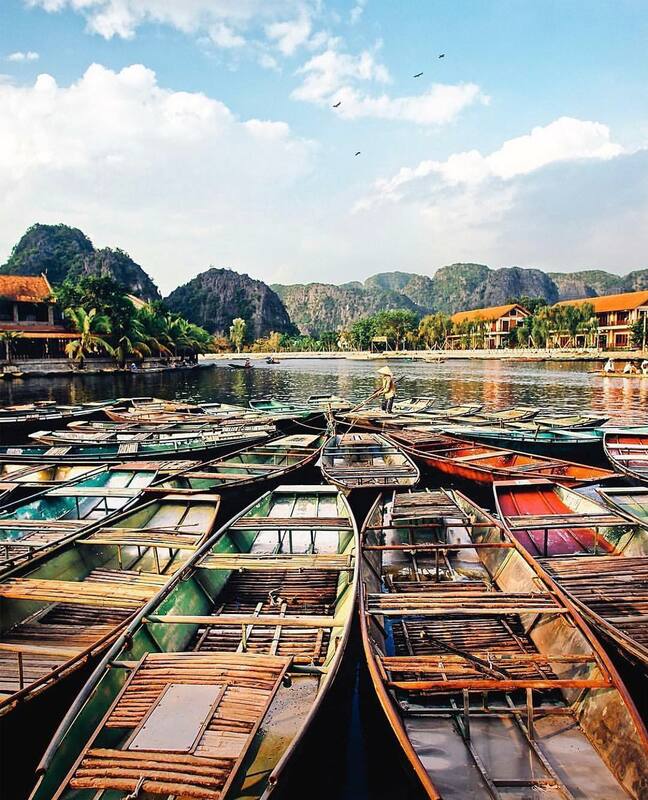 Known as Ha Long Bay on land, Ninh Binh’s natural beauty is poetic and harmonious with the mountains and rivers. 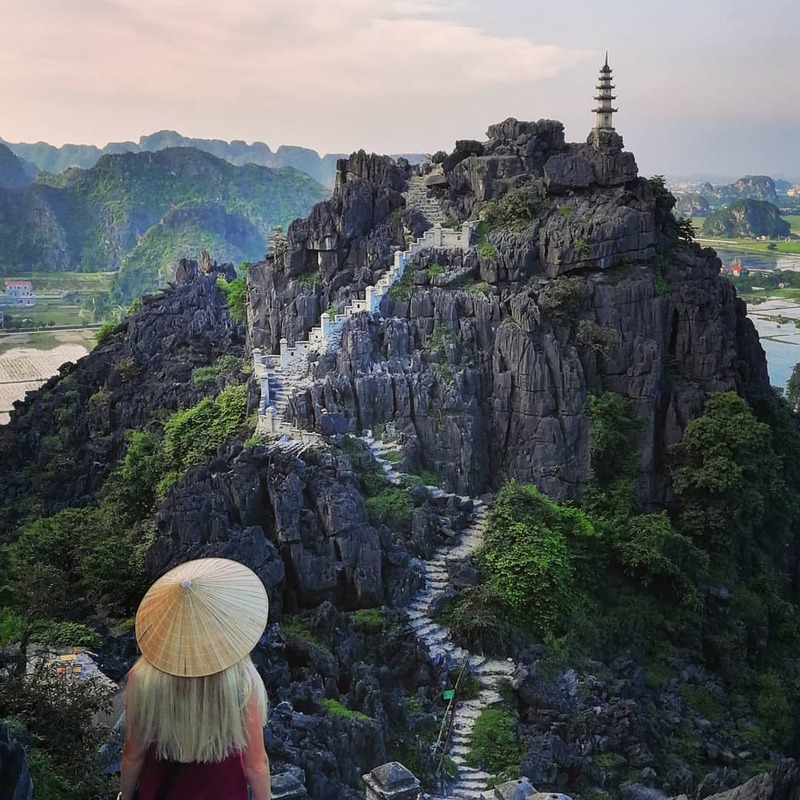 You can witness the beautiful view of majestic limestone mountains, long rivers flowing through the landscape, and paddy fields at the foot of the mountain in Trang An and Tam Coc – Bich Dong. Mua Cave is stunning with 486 stone steps to the very top, a small version of the Great Wall of China. Cuc Phuong National Park is a tropical rainforest all year round, and each season has its different appearance. Phat Diem Stone Church is outstanding with sweeping stone architecture built in the Asian style. Then, Hoa Lu is an ancient capital with wise temples and buildings. The list goes on! Besides, Ninh Binh is also famous for dishes like thit de com chay and goi ca nhech Kim Son that you shouldn’t miss. Hanoi is famous for its 36 streets in the Old Quarter. Back in the day only one kind of product was sold on each street. Besides this interesting fact, you will also notice the architecture of the narrow houses here which is unique to Vietnam. Try to capture the busy life of the locals, the energy of these small streets, and the past that still lingers around every corner. Next, Hoan Kiem Lake, the Temple of Literature, and Thang Long Citadel are historic monuments in Hanoi very close to each other. You will have to set up your camera around many tourists, but it’s still worth a visit. Then, Vinh Tuy longan garden and flower garden in Red River Reef are best for photographers. Vinh Tuy longan garden has hundreds of longan trees resting in spacious green land. The flower garden is replete with many kinds of colorful flowers and artificial scenes of the Truong Sa island flag pole, windmill and village scene in Vietnam. 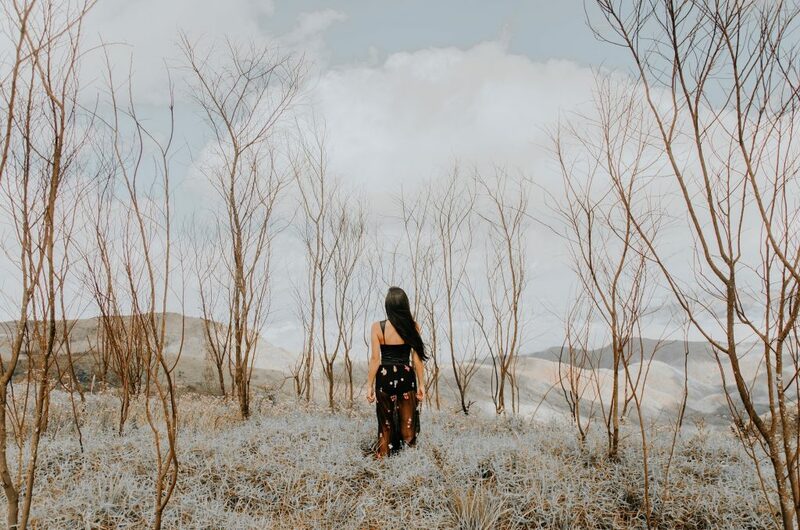 Then, get to Ba Vi National Park in Ba Vi district to explore an ancient church, temples, a cactus greenhouse, pine hill, and many tourist areas. 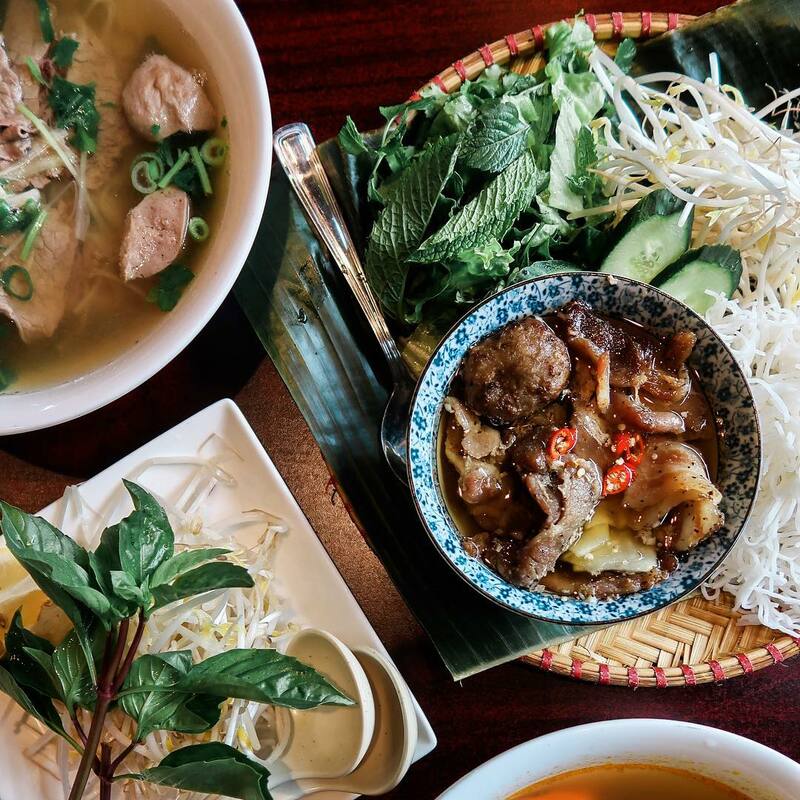 But don’t end your day without egg coffee, bun cha, cha ca La Vong, and bun dau mam tom. Take a photo to save these delicious meals forever. Hue, the old capital of Vietnam during the 19th and 20th centuries, is a tranquil city with beautiful landscapes and historic relics. 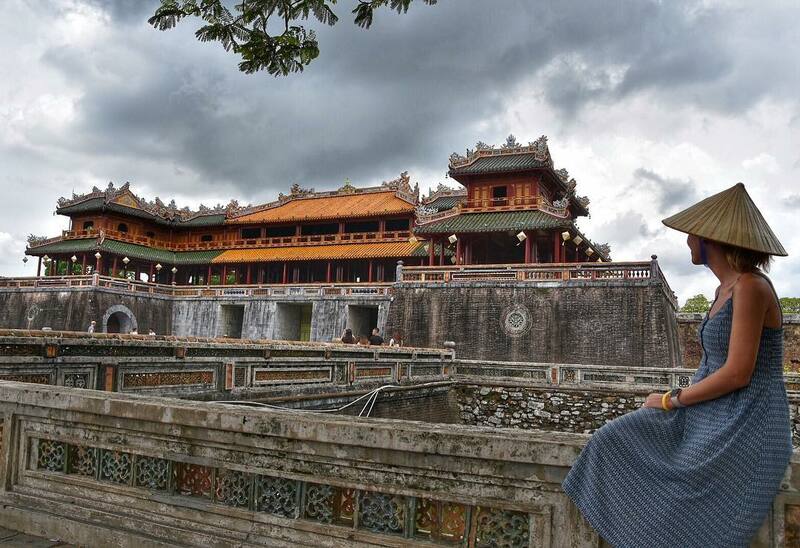 Visit the Imperial City, the tombs, and Thien Mu pagoda to capture a historic moment of Vietnam. On the way to the tombs and pagoda, beautiful scenes of huge ponds, long rivers, green tree gardens, and local villages appear before your eyes. Take a cruise on the Perfume River at night, listen to traditional Vietnamese music from singers in traditional clothes. Finally, eat bun bo hue and com hen, the two specialty foods of the local people. 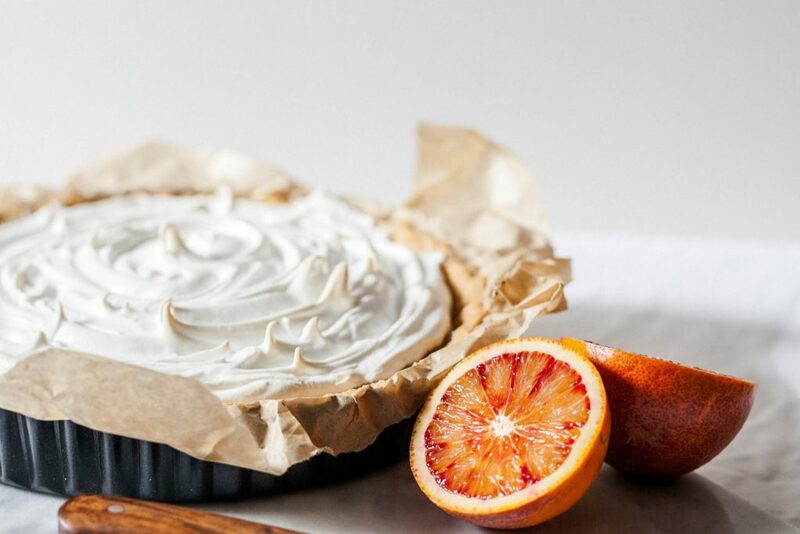 These dishes look as good as they taste. 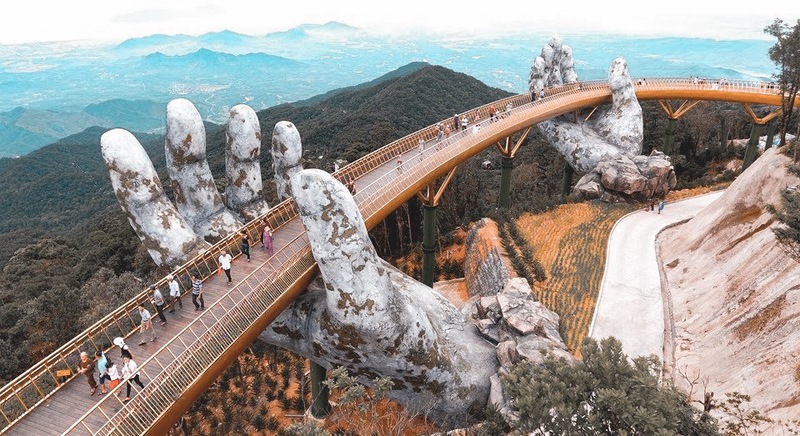 Da Nang, the city of bridges, is famous for huge and modern bridges such as Han River, Thuan Phuoc, Nguyen Van Troi, Dragon, Tien Son, and Nguyen Tri Phuong bridge. Photos of these bridges from above are truly stunning. You might be asking how do I take a photo from above? Since this is such a modern city, you can expect tall buildings stretching along the river; grab a drink, sling your camera around your shoulder and make your way to the top for some magnificent photos. Muong Thanh Hotel near the Dragon bridge is an ideal location. Although not as big as the above bridges, Love Locks bridge is a place for couples in love with love locks and heart lanterns. Da Nang also has some of the most beautiful and longest beaches in Vietnam. Visit My Khe or Bac My An beach and take stunning photos of the sand stretching from your feet into the water beyond, or hop in the ocean! Ba Na Hills is a mountaintop resort complex with a Fantasy Park, European architecture, and the Golden Bridge. The Golden Bridge has recently become a famous attraction, which is lifted by a colossal pair of hands high above the clifftops. 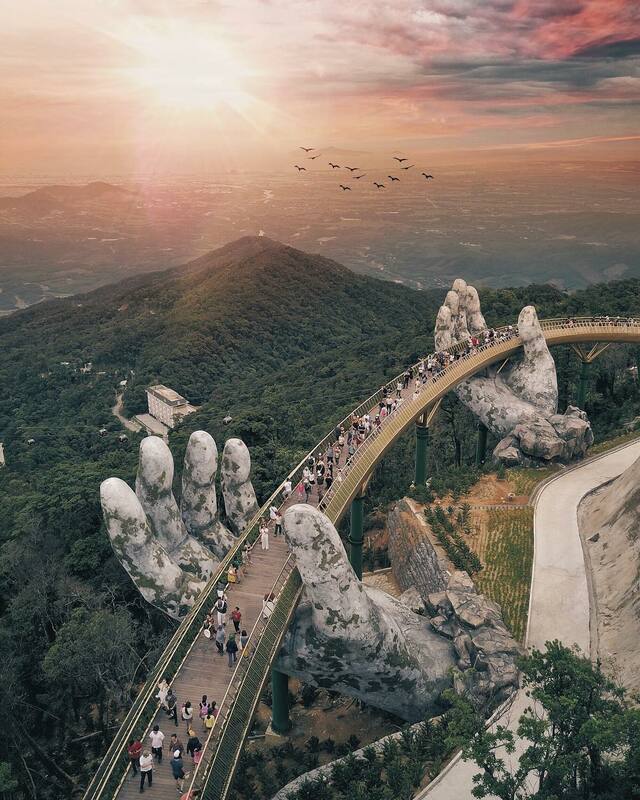 Challenge yourself to take the best photo of yet another one of Da Nang’s famous bridges! Then, go to Hai Van Pass and Son Tra Peninsula to take photos of adventurous and spectacular mountain roads. You might even capture a monkey in action! Hai Van Pass also has the best view to take panoramic photos of the beaches in Da Nang. 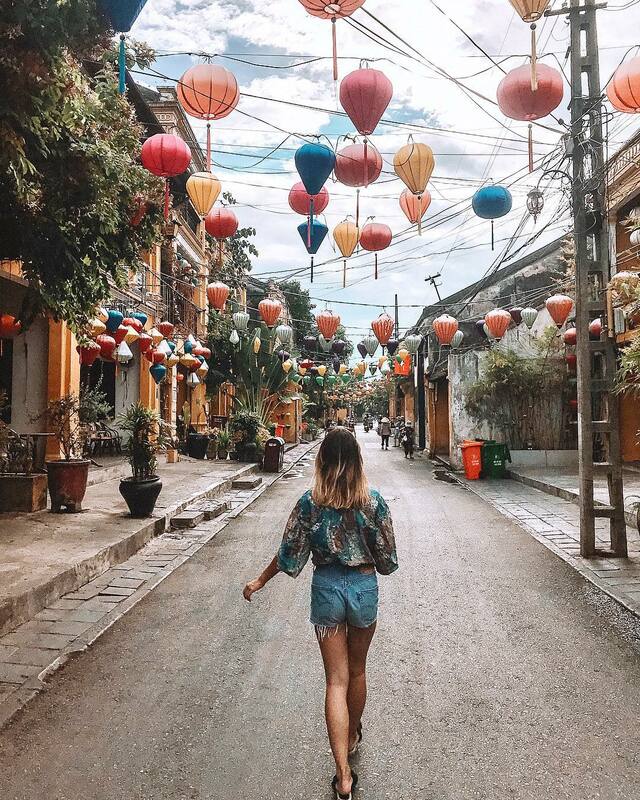 Hoi An is famous for its ancient town with Japanese architecture. Spend one day in the ancient town and you can take hundreds of photos of the Japanese Covered Bridge, museums, ancient houses, art galleries, and craft shops. Then, visit Tra Que Vegetable Village to see vegetable gardens, paddy fields, scenes of the local farmers sitting on water buffalos, and sunrise or sunset. After a full day of pictures, sunbathe on An Bang Beach, drink coconut juice, and capture this moment on Instagram. Then, Cham Island is a great place for scuba diving, snorkeling, and exploring fishing villages. 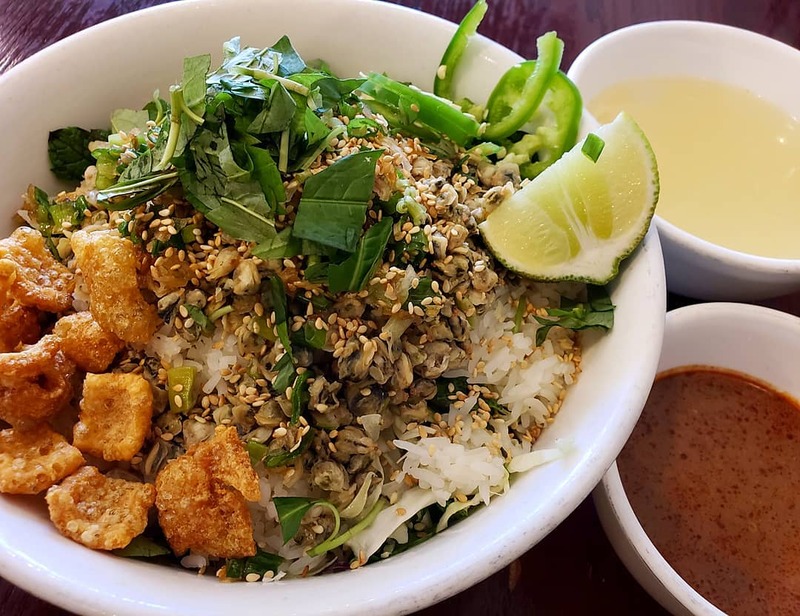 Finally, take a bite and snap a picture of cao lau and com ga, delicious foods that you should enjoy here. 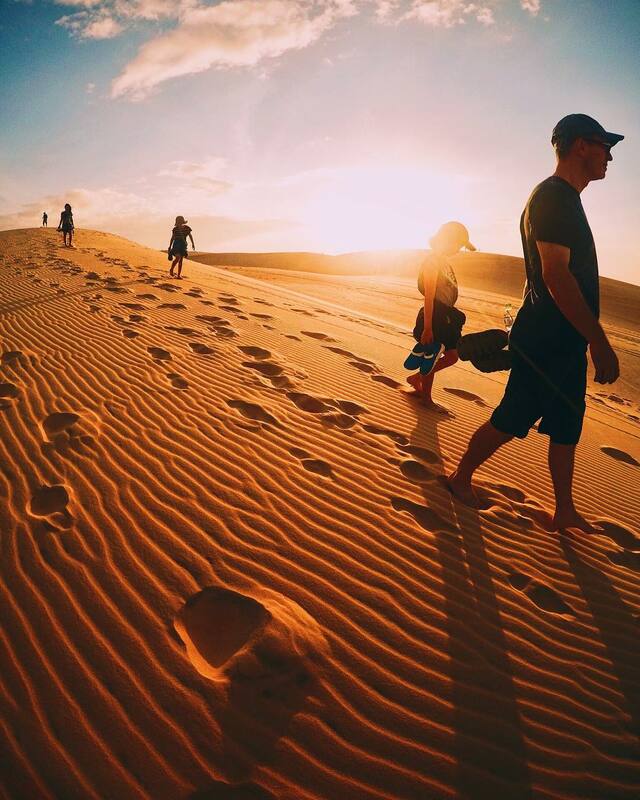 Mui Ne is famous for its giant sand dunes which is where it got its name, the Sahara desert of Vietnam. If you like the lush greenery of Vietnam, check out Bau Trang – Bau Sen, a huge pond with lotus flowers blossoming in the middle. Summer is the best time to photograph the pond because the flowers cover the surface of the water at this time. Rom Island, Fairy Stream, and Ong Dia Reef are stunning with natural beauty if you want to continue taking nature photos. After that, the Wine Castle is outstanding due to its Western architecture and plenty of corners to snap a great, private photo. At night, visit the night market along the sea bank and take photos of salad with deep herring (goi ca mai) and grilled squid teeth (rang muc nuong). 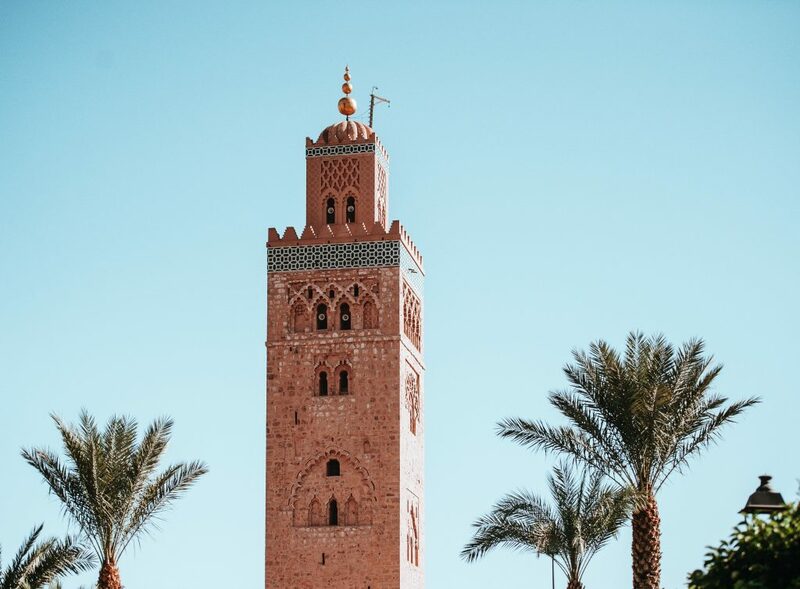 All the cities and places above are endless resources for your photography journey. Have your camera ready and begin this exciting journey.